In the first column on this page, you should find a Pages module. 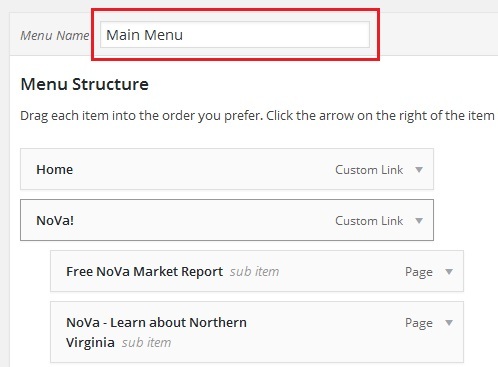 From here simply select the pages you want to add to your menu and click Add to Menu. 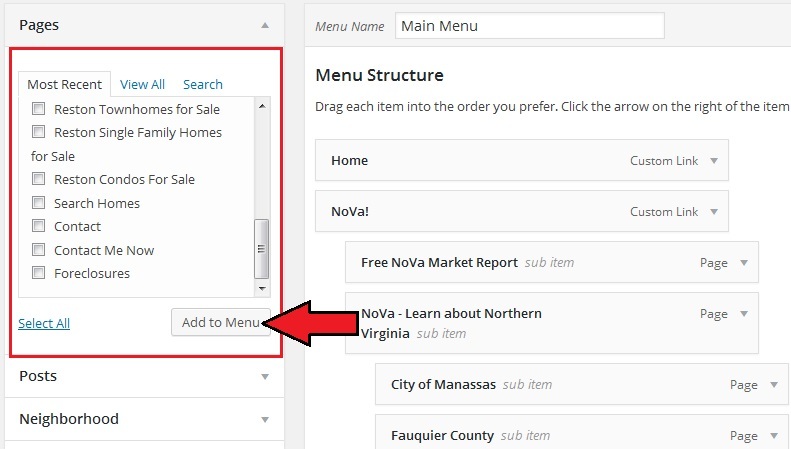 You can also use this method to add Posts, City Pages, Neighborhood Pages, Custom Links etc to your menu. You can rearrange your menu simply by dragging and dropping. 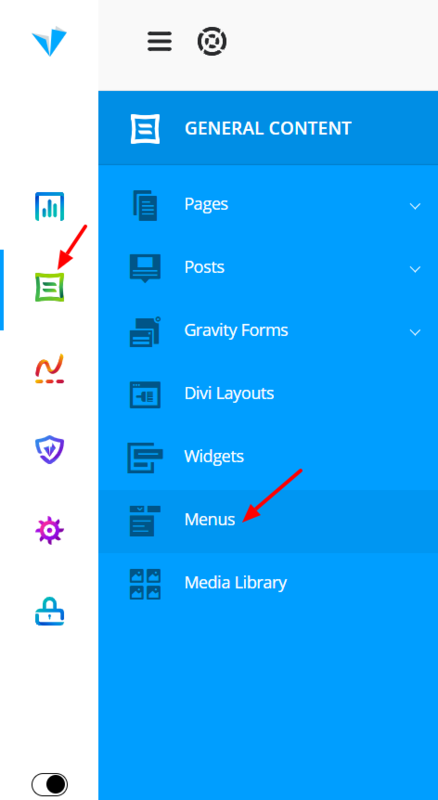 Make sure to save your menu after making changes!